Maria back again in our Nootropic series, identifying the best supplements to improve focus, energy levels and memory. In our previous review we tested Qualia Mind and their unique formula, which proved to be majorly popular among thehealthbase tribe. Next on our list was Opti-mind, a product which has had many positive reviews and one in which the community asked us to look into. Over the course of the last few months we've rigorously tested this and are now happy to share our results and review. 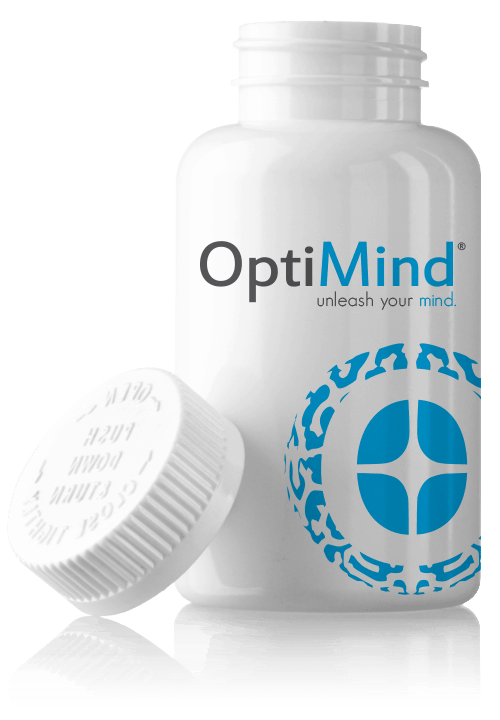 OptiMind is quickly becoming one of the most popular nootropics in the world. There are a lot of people talking about this product online, and for good reason. 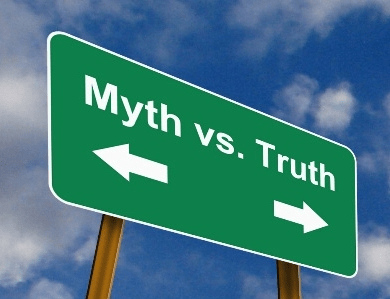 It has been mentioned by established publications such as Elite Daily and even Vice. If you want to start improving your mental focus and overall energy levels, it is important that you take the time to see what this product has to offer. 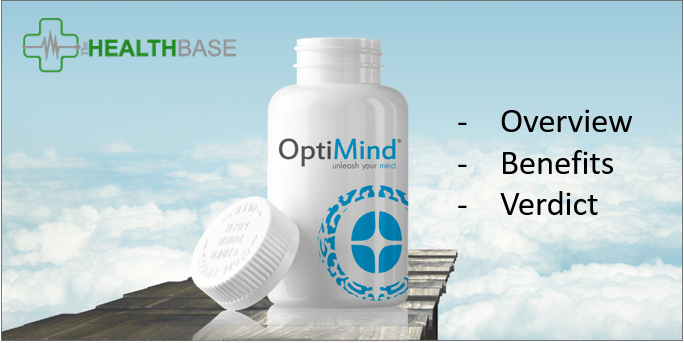 Similar to other nootropics on the market, OptiMind features a formula with a number of powerful but natural ingredients to help stimulate one’s mental faculties. It acts on the central nervous system and entire brain to create short-term and long-term improvements in mental performance. One of the things separates this nootropic from most of the others is how quickly and effectively it produces results. There are many different ingredients in OptiMind, and each one helps with improving some aspect of mental performance. The formula for this particular nootropic is second to none, which is why it has earned a reputation for being among the very best on the market. GABA: GABA or Gamma-Aminobutyric Acid, is a neurotransmitter that is naturally found inside each of us. It plays an important role in keeping the brain functioning normally. When levels of this particular acid fall too low, a person can experience anxiety or even chronic pain.This ingredient will help you to improve your overall mood on a consistent basis while preventing problems like insomnia, low blood sugar, pain and weight gain. Scientists have studied this ingredient extensively, and there is no question of its importance to our mental and physical well-being. It is definitely one of the more important ingredients in this supplement. Huperzine A: This substance originates from Chinese club moss, and there is a distinct possibility that it can help prevent the development of various types of dementia. If you want to preserve your memory as much as possible as you get older, this is definitely one important ingredient to look for in your supplements. It helps keeps the nerves intact and minimizes the effects on them as you get older. Tyrosine: Tyrosine is an amino acid that can be found in a lot of foods that are packed with protein, including beans, nuts, oats, and various meats. It has been known to help people who suffer from mild depression as well as ADD and ADHD. There is also some research to indicate that tyrosine can be useful in treating erectile dysfunction. Those who consume this ingredient on a regular basis may have a reduced chance of developing heart disease as well. Vitamin D 3: Vitamin D assists the body in retaining as much calcium as possible, which is great for the bones. Those who are deficient in this vitamin often experience feelings of fatigue. An increase in vitamin D could be just the thing you need to start feeling more energized. This is another common ingredient featured in nootropics, and it’s certainly an important one. Huperzine A: Huperzine A has been the subject of many scientific studies, and the results are very promising. There is a very good chance that this ingredient can enhance one’s ability to learn and avoid memory loss. It can also help keep you more alert and energized for long periods of time. Rhodiola Rosea: Nootropics often include herbs in their formulas, and this particular one is very powerful indeed. This herb can help with relieving both mental and physical stress for a better overall mood. It can also be helpful with increasing one’s attention span, which is why it is used so often as a natural remedy for ADD and ADHD. Phosphatidyl L-Serine: The body naturally produces this chemical as well, and research has shown that is can actually help prevent the onset of Alzheimer’s disease. It also has the potential to help young people focus more easily without the use of medications. Alpha-lipoic Acid: This chemical has some very powerful antioxidant properties that can help improve one’s memory and increase energy levels throughout the day. Research into this acid suggests that it could be at least somewhat effective in preventing damage to the kidneys. Caffeine: Caffeine has been used by the general population for a very long time to boost energy levels, and it is quite effective. This is a common ingredient in nootropics, but it’s very important. This supplement doesn’t have a ton of caffeine in it, so you won’t have to worry about getting jittery.There have been a lot of studies into caffeine, and it is pretty harmless when consumed in moderation. This stimulant affects the central nervous system, boosting alertness and helping with focusing when you are tired.This ingredient can help with everything from ADHD to asthma, and there’s even some evidence that it can treat hypertension to a certain extent. Taurine: Taurine is one ingredient that is found in a lot of energy drinks as well as fish and other types of meats. It is a form of amino acid that can help with increasing alertness and energy levels. It has also proven useful in preventing a wide range of health problems, including heart failure, retinal issues, alcoholism, diabetes, and others. Alpha Lipoic Acid: This acid has powerful antioxidant properties that you can benefit from in a number of ways. It has been shown to help with improving one’s memory and preventing memory loss with age. Some of the different foods that contain alpha lipoic acid include liver, broccoli, spinach, and kidney. Bacopa monnieri: This ingredient definitely has a reputation for its ability to effectively improve learning ability and slow down the adverse effects of the aging process on the mind. It can help you keep your mental faculties intact as you get older, including your memory. Vinpocetine is best known for its ability to enhance a person’s ability to focus and concentrate. It is also likely that it can help with short-term memory, which can quickly become a problem for older people. There are quite a few different benefits associated with taking OptiMind nootropic, and it’s important that you know what some of them are. Many people who take this supplement find that they are in a better mood on a consistent basis. There is also a very good chance that you will find it easier to concentrate on tasks throughout each day. You can also expect to experience a marked increase in motivation, allowing you to become more productive than ever. The better of a mood you are in, the more you can enjoy life as a whole. One’s ability to focus easily is a major factor in how successful they become. This supplement can help you clear away the fog in your mind and retain a razor sharp focus throughout each day. The easier it is to stay focused, the more you will get done. Another huge benefit that OptiMind has to offer is superior social skills. The increase in energy and improvement in overall mood that you experience can make it easier to communicate with others. Social skills are extremely important for many reasons, and this nootropic can even help those who suffer from social anxiety. You will feel more relaxed and at ease when you are in social settings that would normally make you feel very uncomfortable. Many of the ingredients in this nootropic have been proven to help reduce the risk of heart disease, Alzheimer’s disease, diabetes, hypertension, and many other serious health problems. I imagine you're wondering with all of those great benefits and positive results, is there a catch. You'll be glad to know there aren't. We've researched this further online and couldn't find any negative side effects with this product. There aren’t many drawbacks to using OptiMind, though it is not recommended that women who are pregnant or nursing take it. It can take a while for this supplement to work for some people, as it affects everyone differently. The best place to buy this nootropic supplement is on the company’s official website. There are a number of other online retailers that sell this product, including Amazon and Bolt Health. The official website offers certain discounts for bulk orders that you may not be able to get anywhere else. If you are interested in buying this supplement, it is highly recommended that you do so at their online website. When you take the time to compare prices from different retailers, you will realize it's the best possible deal. There are a number of pricing options available for OptiMind. On the company’s website, you can buy a single bottle for $43.31 or two bottles for $73.32. You can also choose to do a 10 capsule trial for free. This is 14 day’s worth of pills, and you can choose to cancel it at any time. This company offers a 100% money back guarantee on this product, so you can get a full refund if you are not completely satisfied. Anyone who wants to improve their overall focus and mental strength should consider taking OptiMind. It can be especially useful to those who normally feel sluggish and fatigued shortly after they wake up. Those who want to prevent memory loss and maintain a strong mind will also be interested in what this product has to offer. Even young people can definitely benefit from this nootropic because of its powerful formula. If you are looking for a natural way to maintain a lazer focus throughout each day without relying on dangerous drugs, this is an excellent option. The customer reviews for OptiMind are largely positive. You will find that many people have written about how much this supplement has helped them in their daily lives. One of the most common forms of praise this product gets is its ability to increase energy levels. Lots of customers have commented on how this nootropic has helped to give them the energy and focus to finally hit the gym and get in shape. Others have talked about how much easier it is for them to focus at work and in school as a result of taking this supplement. There is absolutely no question that it is a very popular choice among people of all ages. This nootropic has some of the most positive reviews of any product of its kind, which is very impressive to say the least. We've tested it and had extremely positive results. Outside of our results, there is ample evidence to suggest that OptiMind nootropic supplement can actually work very well for a lot of people. This product might not affect everyone the same way, but its powerful ingredients make it a potent solution for lethargy and fatigue. People of all ages can benefit from this supplement to some degree. 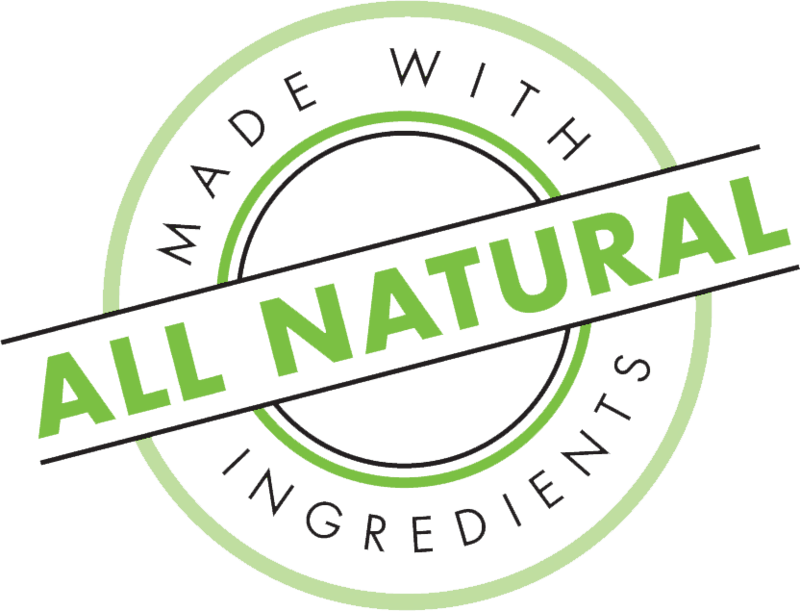 All of the ingredients in this product were carefully chosen and have been shown to be quite powerful through numerous scientific studies and research. The majority of people who take this supplement shouldn’t experience any side effects whatsoever, though there is always a small possibility. It is important that you take a close look at the list of ingredients to ensure that you are not allergic to any of them. Common signs of an allergic reaction include difficulty breathing, swelling and itching. If you experience any of these things, you should stop taking the product immediately. Women who are pregnant or nursing should avoid taking this supplement before speaking with their doctor. This supplement is safe for most people because of its 100% natural formula. OptiMind is currently one of the best nootropics on the market right now because of its very powerful and natural formula. If you want to start increasing your energy levels and ability to focus better throughout each day, this is a great overall solution to explore. This product is fairly cheap, especially compared to many other nootropics. Taking this supplement on a regular basis long term can help you avoid serious health problems like heart disease and even Alzheimer’s disease. It is an extremely simple and easy way to maintain your mental and physical health.